A swipe of lipstick can put a smile on your face, but when it comes to beating depression, no beauty treatment or cosmetic products will do the trick. Surprisingly, a vial of the popular anti-aging, muscle relaxing toxin used in wrinkle fillers may have the power to make you happier – not just because your wrinkles have disappeared! One in 10 adults struggle with depression and women are twice as susceptible as men. Could muscle relaxant be the answer? Investigators at the Hannover Medical School in Germany found that treating facial muscles involved in emotion with line and wrinkle injections eases symptoms of depression. According to the investigators, positive effects on mood were seen in patients who’ve had treatment for frown lines in the area above the nose and between the eyebrows. To confirm these results, a further study was carried out. The study showed that by paralysing the facial muscles involved in producing frown lines with line and wrinkle injections actually caused feelings associated with frowning to be reduced. Emotions are expressed through facial muscles, which in turn send feedback signals to the brain to reinforce those emotions. By treating the facial muscles with Line and wrinkle injections, the cycle can be interrupted. A total of 30 patients with major depressive disorder were enrolled in the study, which lasted 16 weeks. Patients were randomly assigned to receive a single injection used in line and wrinkle treatments, or a single injection of saline placebo. Symptoms of depression within the group treated with the muscle relaxant had been reduced by 47.1% after just six weeks – compared to a 9.2% reduction amongst patients treated with a placebo. By the end of the study, 86.7% of those treated with line and wrinkle injections had experienced at least a partial response, with 33.3% in remission, versus 26.7% and 13.3% respectively in the control group. Patients who displayed signs of dynamic hyperactivity seemed to respond better to the treatment, which might include people who bite their nails or play with their hair, as well as those who frown a lot. It seems that there are a number of growing benefits to the toxin used in line and wrinkle injections; deep lines and wrinkles that are treated become less visible, stopping excessive sweat caused by Hyperhydrosis, treating severe migraine headaches, and now having the potential to cure symptoms of depression. We offer anti-ageing Line and Wrinkle injections, performed by our fully qualified (and highly popular) senior nurse, Debbie Mills. With this treatment, you can reduce visible signs of aging, look and feel younger, and overall improve your appearance by restoring volume in hollow areas of the cheeks, lines around the mouth, forehead lines and frown lines. 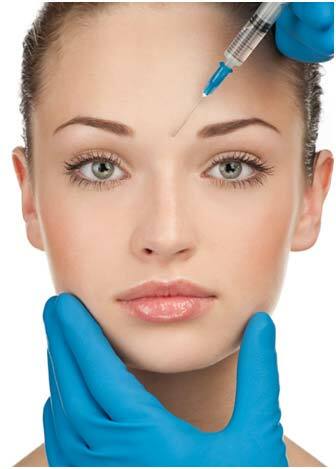 Line and wrinkle injections are a popular temporary non-surgical anti-wrinkle treatment with virtually no recovery time. Bookings are available on the 23rd and 24th this month for those of you who are interested in this non-invasive treatment. FREE consultations are available, and you can receive your 6th treatment absolutely FREE when you pay for 5. For more information about this treatment and other booking dates, click here.